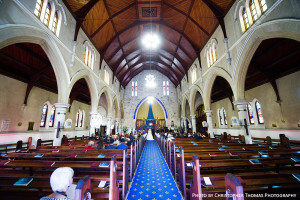 Have your wedding in one of Brisbane’s oldest heritage-listed churches. As one of Brisbane’s oldest and most photogenic churches, St Paul’s offers an historic and beautiful setting for your wedding. 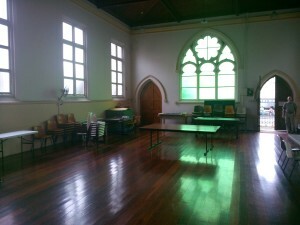 Thank you for your enquiry regarding a wedding at St Paul’s Presbyterian Church, Spring Hill. As one of Brisbane’s oldest and most photogenic churches, St Paul’s offers an historic and beautiful setting for your wedding. The Minister would be delighted to work with you to ensure that your wedding day is as special as possible. To apply for a wedding at St Paul’s Presbyterian Church, please fill out and return the Application for Marriage form provided at the end of this document. Please note that approval of your application for marriage at St Paul’s is at the discretion of the Minister. The information provided below will assist you in making a decision regarding the venue for your special day. 1. This information is issued in order to ensure that the correct procedures are followed, both in relation to the Commonwealth of Australia Marriage Act and in respect of the regulations drawn up by the Kirk Session of St Paul’s. 2. The Marriage Act states that formal notice of an intended Marriage must be handed to the Minister no later than one month before the date of the wedding. At St Paul’s, it is preferred that all Notices of Intended Marriages be completed and signed at least three (3) months prior to the wedding date. 3. For your own planning purposes however, it is advisable to give as much notice as possible to the Minister of St Paul’s in order to reserve the date and time preferred for your wedding. This can be done as far ahead of the wedding as possible – even a year or more in advance. 4. A telephone booking establishes a tentative time and date only and will need to be confirmed by a letter from you within three (3) weeks. A non-refundable deposit of $250 is required when confirming this booking. The deposit will however be deducted from the overall fee which is currently $1683. 5. 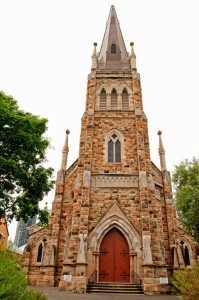 Having reserved the date and time, you should make an appointment to see the Minister of St Paul’s in order to discuss the arrangements for the marriage service, pre-marriage counselling requirements, and to give formal notice of the intended marriage on the form prescribed by the Marriage Act. This could require more than one appointment. 1. When formal notice is completed, another appointment will be necessary for the signing of a Declaration stating that there is no legal impediment to the marriage. Arrangements can be made for a rehearsal at the time of signing the Declaration. 2. Marriage of a person under 18 without the order of a Judge or Magistrate is invalid. Under no circumstances can permission be given when both parties are under marriageable age. 3. You MUST produce your birth certificates, or an Extract thereof, before ANYONE can marry you. This is a strict requirement of the Marriage Act. If you have been married before, you must also produce documentary evidence regarding the termination of this previous marriage. The Marriage Service is a Christian religious ceremony, as well as a legal one. All marriages at St Paul’s are required to be performed by the Minister of St Paul’s. Exceptions to this require the approval of the minister and the Kirk Session. If you have any specific requests regarding this, please mention these to the Minister at the time of booking. St Paul’s can comfortably seat up to 350 guests, in a mixture of traditional timber pews and individual chairs. Seating is divided by a central aisle, which provides a focal point for the arrival and entry of the bridal party. The church is equipped with a PA system with a hearing loop for the hearing impaired. With its beautiful stonework, Gothic arches and stained glass windows, St Paul’s Church and Church grounds provide an ideal setting for photographs of your special day. Please note though, that photographs may be taken in the Vestry during the signing of the Register, and other photographic opportunities may arise during the service such as the entrance of the bridal party, the exchanging of rings and the kissing of the bride – these will be indicated by the minister on the day. Video recording of the Service may take place as long as it is done in a non-intrusive manner. Time permitting, your professional photographer may take photographs of the wedding party inside the church at the conclusion of your ceremony. Fresh floral decorations are a feature of our weekly church services at St Paul’s and are the sole responsibility of the Flower Guild. Special effort will be taken by the Guild to meet your specific requirements regarding colour and types of flowers used for your wedding day. Please note however, that the flowers must remain in the church at the conclusion of your ceremony, for use in the weekly church service. You are welcome to provide your own decorations on the ends of the wooden pews, but please do not use drawing pins or adhesives. 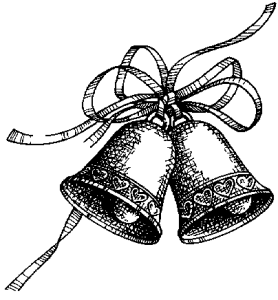 You will need to arrange for someone to promptly remove the decorations after the Service. Alternatively, the church can adorn the pews for you with their own set of decorations. A special feature of St Paul’s is the historic pipe organ. You are welcome to discuss your music selection with the Minister and the Church Organist in the lead-up to your special day. Furthermore, St Paul’s modern sound system allows you to incorporate one of your favourite musical selections into the service via ipod or CD player if you so desire. However this must be arranged and tested with our sound technician well before the big day to ensure compatibility of your device/source and our equipment. No confetti, rice or flower petals are to be thrown in the Church or Church grounds. Please inform your guests of these restrictions. Only bridal wedding cars are allowed on Church grounds. Street parking is available for wedding guests. More details can be found at About Us/Location and Facilities on this site. A church hall, located adjacent to the church on the church grounds, is available for hire at an additional cost, and is an ideal location for your guests to enjoy some light refreshments while bridal party photographs are being taken. 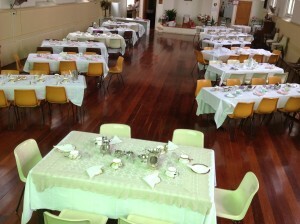 Please contact the hall convenor (0428 712 756) to check availability and to di scuss hiring and catering arrangements. Weddings may be held on any day of the week, excluding Sundays. While Saturday weddings are booked a minimum of two hours apart, wedding parties and guests should aim to vacate the church grounds within 1.5hrs, in order to ensure adequate time for set-up and arrival of guests for any subsequent weddings on the same day. Exceptions to this timing may be allowed, depending on the schedule of weddings that day and hire of the church hall for refreshments. A quality audio recording of the entire service is offered at no extra cost if prior notice is provided.